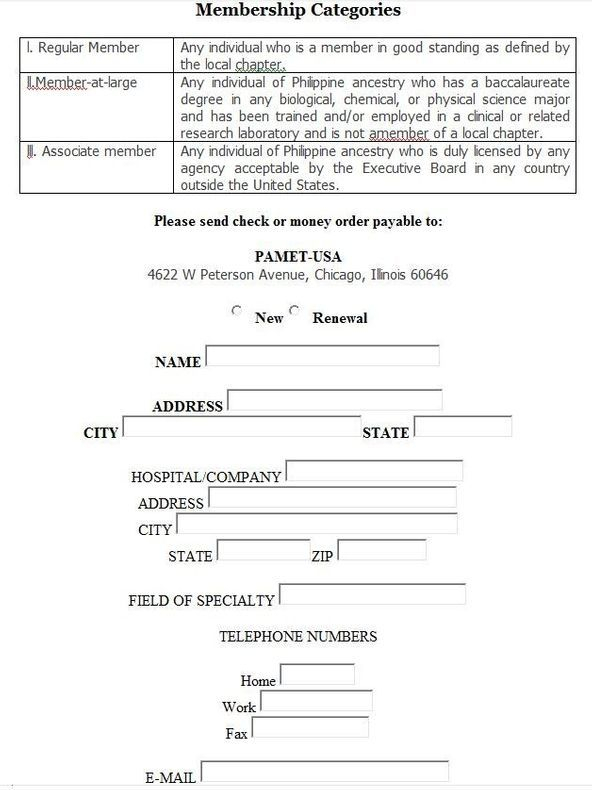 Membership - Phil Association of Medical Technologists-USA, Inc. I. A chapter shall be assessed five dollars ($5.00) per registered regular member. II. A member-at-large shall pay annual dues of fifteen dollars ($15.00). Annual dues are payable March 1st to April 30th of each year. Submit Online Membership Form here.